Duane and Kelly Harrington have three daughters: Jordan (SCHS Class of 2015), Aydan (SCHS Class of 2017), and Devan (third grade). They attend First Baptist Church in Sunnyside. Why did you choose Sunnyside Christian for your children? 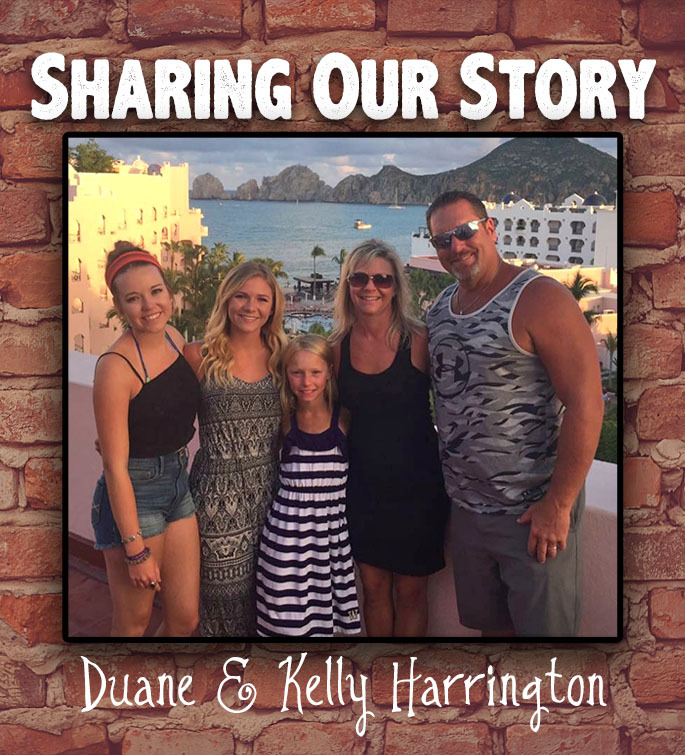 Duane and Kelly: We wanted our children to receive an education centered on Christ and His Word. Sunnyside Christian tuition is an investment in your children. Why is it worth it? Duane and Kelly: The comfort of knowing our children have been and are being educated according to God's Word is priceless. 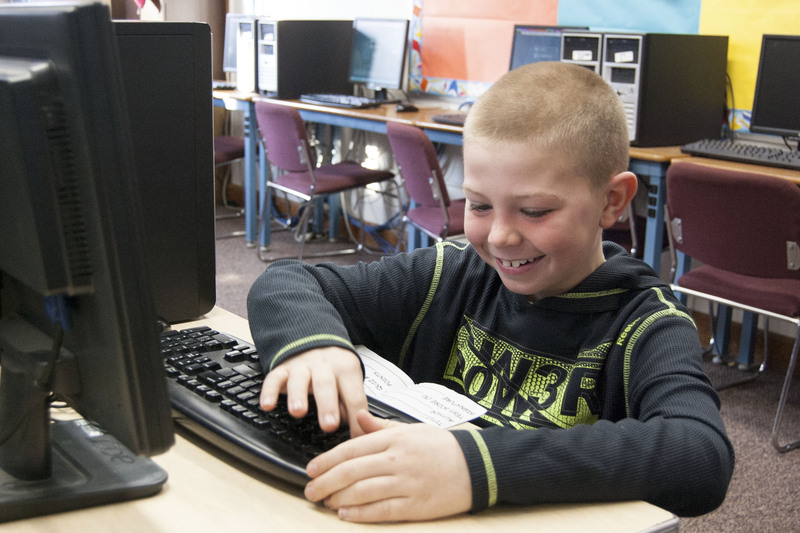 In addition, the high academic quality at Sunnyside Christian School is competitive and comparable to other schools that have much higher tuitions. What do you like most about the education your child receives at SCS? Duane and Kelly: We feel the SCS education prepares our children for the challenges of college and, most importantly, life, extremely well. If any, tell us about changes you have seen in your child/family since attending SCS. Duane and Kelly: We have seen a love for God and for humanity develop in our children that we know with certainty comes from the education at SCS coupled with our home and church lives. 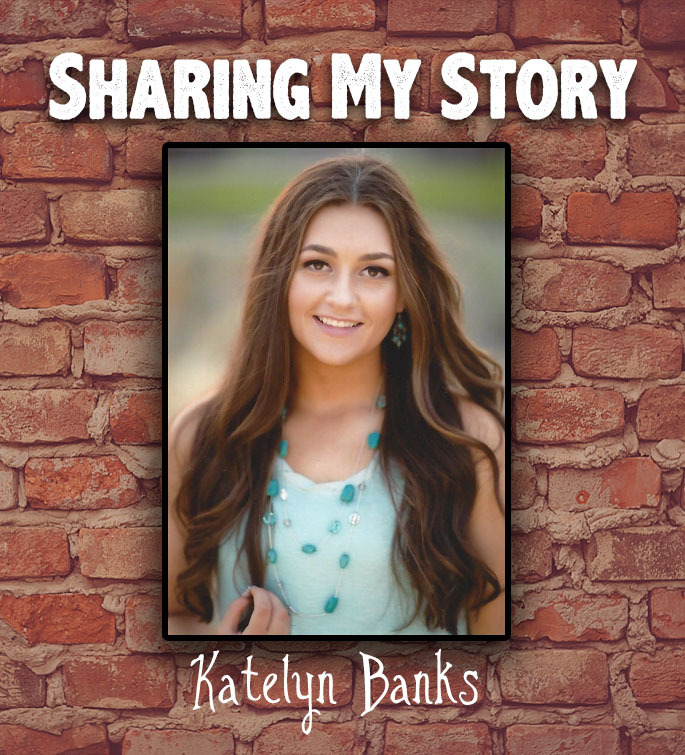 If someone was thinking about sending their child to SCS, what would you tell them? Duane and Kelly: The investment you make in an education for your child/children at SCS will be unparalleled in its reward for your children and your family for the rest of your lives. If applicable, tell us how your education growing up is different than what your children are experiencing at SCS. Duane and Kelly: Kelly and I both attended Sunnyside public schools, and though we feel we had an overall good experience, we now see through our children, we were missing a vitally important spiritual component only received through a Christian school education. How are you as parents involved in Sunnyside Christian? Duane and Kelly: An amazing blessing that Sunnyside Christian School offers is the availability for parents to be hands on, involved in their children's education. We have enjoyed the opportunities to help in the classrooms, coach/lead various sports activities, and attend our children's numerous school events. Sunnyside Christian School is excited to introduce our new Superintendent and Elementary Principal! Brad Van Beek will be moving to Sunnyside in July and will start his duties then as well. Brad has spent the past four years teaching at a Christian school in Santiago, Dominican Republic. He and his wife, Ruth, have three children. Alan, who is 14, will be a freshmen at Sunnyside Christian High School. Their twin daughters, Genet and Rahel, will be 3rd graders. We asked Brad why he feels called to the Principal position at Sunnyside Christian, and this is his response. "I have been a teacher for nearly 25 years and have loved it. I especially loved the relationships I was able to develop with my students. I know I will miss being in the classroom, but it was time in my career to move in a new direction. We have lived the past four years in the Dominican Republic and even though we have enjoyed our time here, we felt it was time to make a change. One of the things my wife Ruth and I were looking for when we began our search was a place that had a large Hispanic community. My wife is originally from Honduras, I lived there for 5 years and four in the Dominican Republic so I am familiar with the culture. We both speak Spanish so we wanted to be able to use that wherever we moved to." One of the biggest changes for them will be the small-town feel of our area. "We presently live in Santiago in the Dominican Republic. It is located in the Cibao Valley with a total population of the Santiago and the surrounding area of nearly 1 million people. Moving to a town of around 20,000 will be the first change," Brad says. "Another difference will be the weather. After living 4 years in a country where it is summer all year, we will once again move back to 4 seasons. Our kids are very excited to see snow. Even though, Ruth and I are less excited about winter, we are looking forward to experiencing the changes of seasons." "Washington was always a state I thought I would like to live in," Brad comments. "My wife and I have a bit of an adventurous spirit, and we know that Washington is a beautiful state, so we cannot wait to get out and explore." Brad and Ruth visisted Sunnyside in January, but have since learned more about our area. "After getting the job at Sunnyside Christian, I found out that a couple people I know grew up in Sunnyside," he says. "They both went to Sunnyside Christian School. They had only great things to say about the city and the school. They both said it is a great place to raise a family. We are looking forward to be part of the Sunnyside community." Please feel free to leave a comment of welcome and greeting for our new Principal and his family! We are excited to have you, Brad, Ruth, Allan, Genet and Rahel! So excited to have you as a part of the SCS community! Looking forward to welcoming you this summer. Welcome!! Thankful that God has called you to join us here at SCS - and we hope you will be blessed in return. We look forward to having you and your family here and getting to know you. Safe travels! Welcome the SCS family!! We are excited to meet you all. Your son Allan and my son Nate will be classmates - Nate is looking forward to meeting Allan and getting to know him. Maybe we can get them together before school starts and they can get aquainted before the first day of school. Being an alimni and having all my kids go through this school I can say that we have nothing but praise for all the staff and teachers, it's a wonderful school and community. Welcome and safe travels!! Welcome!! We look forward to meeting you. Ditto what Suzanne said.....Nate and our son Tyler are buddies and both going to be freshman in the fall. We look forward to seeing you this summer. Thank you so much for your kind words. We are very excited to move to Sunnyside and be part of the Sunnyside Christian School community. We also want to thank you for the many ways people have welcomed our children. Throughout your child's elementary years at Sunnyside Christian School, we place a high emphasis on reading. We use two tools to help us measure the progress of our students' reading: the STAR reading test and Accelerated Reader (AR). Our third grade teacher, Mrs. Sandy Martinez, has put together this overview of these two programs. Let us know if you have any further questions! What are the reading tools SCS uses to measure reading? STAR Reading Test—This test is taken online at school to assess students’ reading levels. Each test has 34 items of varying, adaptive difficulty, based on student responses. Both reading comprehension and vocabulary proficiency are tested. 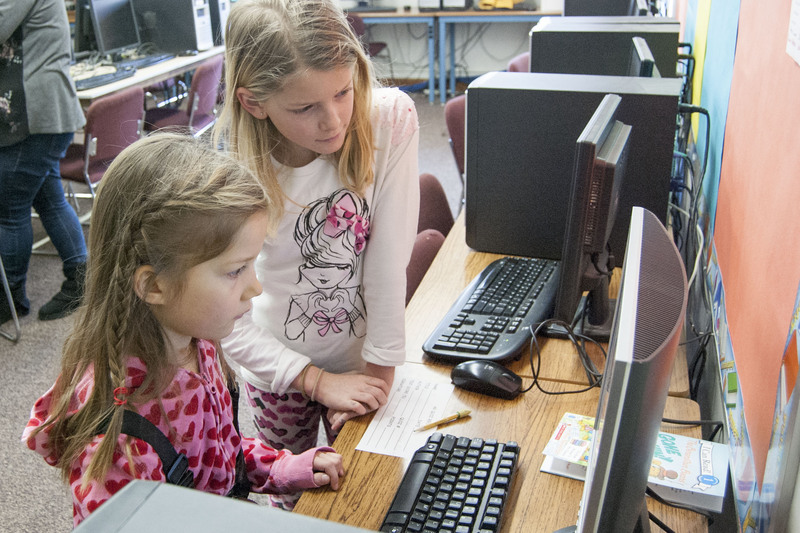 A fourth grade students takes an AR quiz. students to demonstrate how well they understand the books they read. Thousands of book titles are available in the AR quiz library. The books are leveled by grade level and assigned a point value based on length and difficulty. STAR Reading Test—This short test is just one tool used to guide teachers in their reading instruction. It gives teachers good information about student and class progress. Many reports are available to show information about a variety of specific reading skills. Accelerated Reader—AR is a great tool to give teachers a quick snapshot of how well a student comprehends what he/she is reading. Based on how a student is doing on his/her quizzes, a teacher can make informed recommendations for more books that will be good for that particular student. How do we know our child’s reading level? The STAR Reading Test results include your child’s reading level. You will see a Grade Equivalent (GE) score. A GE of 3.4 means that your child is reading at the level of a 3rd grader in the 4th month of school. Your child’s teacher will be able to share that information with you once the STAR test has been taken. How do we find books that our child can read and be challenged by? Also included in the STAR Reading Test results is a suggested range of book levels for your child to use while choosing books. Books selected in this reading level range will allow your child to experience the most success while reading. Choosing books at the higher end of the range will provide the most challenge for your child. Our school library books have been labeled with the books’ reading levels and the number of points each book is worth. students to help them take their AR quizzes. ** Note—Just because a child can read well above his/her grade level doesn’t necessarily mean that he/she should. Careful consideration of the content of a book should also be taken into account when choosing a book. ** www.arbookfind.com is a great website that shows you if a book is an AR book and what level it is. You can also do an advanced search to look for books that are at a certain level, about a particular topic, or by a favorite author. ** There are also several apps available that allow you to scan a book’s bar code to see if it is an AR book and what level it is. What is important while children are learning to read and learning to love reading? Books, books, and more books!! Surround yourself and your children with all kinds of things to read! Magazines, comics, recipes, road signs, word puzzles…be excited with your children as they recognize the letters and words they are learning at school. Let them see you reading. Read to them every day! Use different voices! Make it fun. Take turns reading. Stop at the exciting parts….to be continued! Build the anticipation! Go to the library together. Read a variety of books about a variety of things. Search book stores and thrift stores for good books to read over and over. When you find a book your child enjoys, find more like it by the same author or about the same topic. Talk to your child’s teacher if your child is reluctant to read. Ask for suggestions. Let reading take you and your child on countless adventures together! 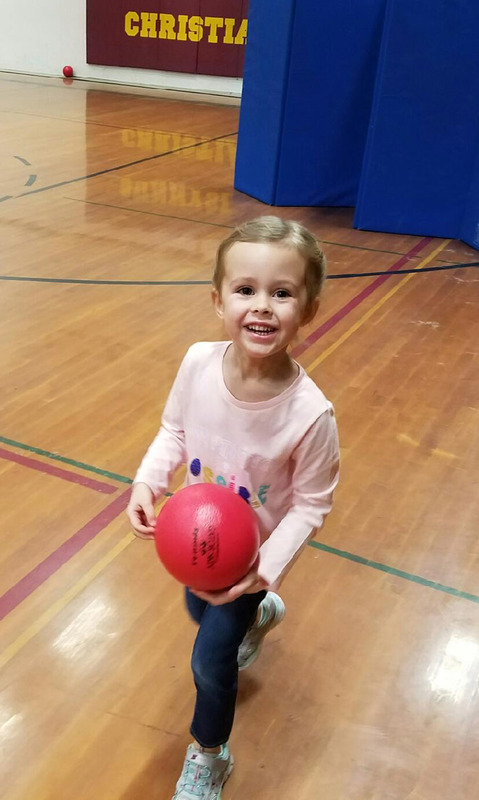 Physical Education, a simple 30 minute class for our Littles, seems to consistently be a favorite, and I am fortunate enough to teach it. They love the opportunity to run around freely- moving and shaking what our Creator gave them. Unbeknownst to them it is much more then exercise. Physical Education is not simply for kids to learn to exercise. Along with physical skills, they learn to cooperate, share, predict, listen, goal set, adapt; be kind to others, share, have grace, love, etc. The more I observe the students in my class, the more I see the Bible come alive through them. And I can't help but picture a gigantic Father God who takes great delight in the joyful smiles on the faces of the Littles down below. I see their bodies as an expression of worship to the Creator. From the way they move to the status of their hearts. They begin excited to have fun and be silly, or on the contrary, too shy to be fun and silly. When they do put their heart into it, they can get frustrated when something isn't easy enough for them. Then they want to quit. They want to pout. They want to be mean to others. Or perhaps they are excited about their performance. They want to brag. They want to be proud. They want to be mean. But as they come more often to PE, spend time with their classmates and are trained at home, I see their social, physical and emotional changes. Then I imagine our loving God smiling from above watching them move and shake the hearts He gave them. In light of these factors, giving formal grades based on abilities is extremely difficult for me. I do formal and informal assessments for my own information and base their grades off attitude and participation. My goals as a PE teacher include developing a love for movement, incorporating Godly principles within athletics and increasing skills. The seven different skills I target are: flexibility, strength, endurance, speed, agility, coordination, and balance. I work to incorporate each skill monthly, if not weekly. I work through a variety of sports and manipulatives from juggling scarves to basketball and hockey hoping one of these will excite and inspire. Each heart has a different love. Something must be going well because they are all smiles when they come each day! Much like our Littles, I didn't realize how special of a class PE is nor how big of an impact it can have. I find myself fortunate to be the instructor for this class and hope I honor Him as I help guide minds and bodies in their worship. Great Blog from a great PE teacher. It rewarding to watch Mrs. DeBoer interact with her students. They have fun while learning. Scott and Melanie: We chose SCS for our kids because getting a Christian education for our kids is a priority to us. We both attended SCS and want to see it grow and thrive for our kids and generations to come. Scott and Melanie: Investing in a Christian education is worth it to us because we can’t think of anything better to invest in than our children. We strive to raise them to be competent and confident individuals who can contribute to society. As believers of Christ, we hope they will become strong men of God who can continue to impact others in a positive way and honor God throughout their life. By providing them with an education that is grounded by Christian morals, we are equipping them with the tools they will need to tackle the tough situations life can bring. Scott and Melanie: We like that the classes are small enough for teachers to be able to get to know each child, individually. We appreciate the communication between teachers and parents. It’s a great relief to know that if a problem arises at school, someone will contact us so we can work together to correct the issue. We love knowing that the teachers and staff at SCS see each child the way God does, as a wonderfully and uniquely made child of God with their own gifts and talents. Scott and Melanie: I think for us, a fun change was going from being students of SCS to parents of kids at SCS, and walking down those same halls with them! It really opened our eyes to how much God has blessed the school over the years, and we truly hope that SCS continues to further impact our community for God’s glory. We also agree, that we have a new-found appreciation for the investment our parents made in us, by giving us a Christian education. Scott and Melanie: If someone was considering SCS for their kids we would encourage them to try it. It IS an investment, but like I said – it’s so worth it! SCS has great teamwork between the staff and parents and they really strive to work with each family. We are a strong community of families working together to help our children have bright and healthy futures. We also know that our children are safe and well cared for while they are at school; we have seen how the staff looks after each child as if they were their own and that is very reassuring. In fact, during 2nd grade, our oldest son’s class could earn tickets as a reward for good behavior. One of the items they could use their tickets for was lunch with the principal! You might wonder if any child would actually choose that as a reward, but in fact one particular day our son told us that 7 of the kids chose to eat their lunch with the principal; and that just made me smile to imagine all of them having lunch together. It’s clear that he is also investing in our kids by building relationships with them, and that is something to be valued. Scott and Melanie: We both attended SCS, and there was no pre-school at that time; which has been a great addition in recent years. Both our boys attended pre-school and it was just enough time to help them gain confidence and become familiar with being in school without being gone all day; they both adjusted to kindergarten gracefully. When we were in Jr. High we did typing class on the old type writers…no auto correct, if you hit the wrong key you couldn’t hide it! This year our son had to bring a flash drive to school, to save his computer work on which wasn’t something we ever needed, so we appreciate the schools efforts to keep current with technology so that our kids will have a good understanding of that. Other than the ever changing technology world, I don’t see any change in the quality of our education in comparison to our kids; that’s one thing SCS does with excellence. We were very well prepared for life and I am confident that our boys will be too. Scott and Melanie: Our favorite way to be involved at SCS is by participating in the classroom and attending field trips or special days at school. It is so much fun to be involved with our kids at school, get to know their classmates and see how they interact with others. It is such a joy and privilege to have the opportunity to be so involved in every aspect of our boys’ lives, we are so grateful for SCS! Very well done! 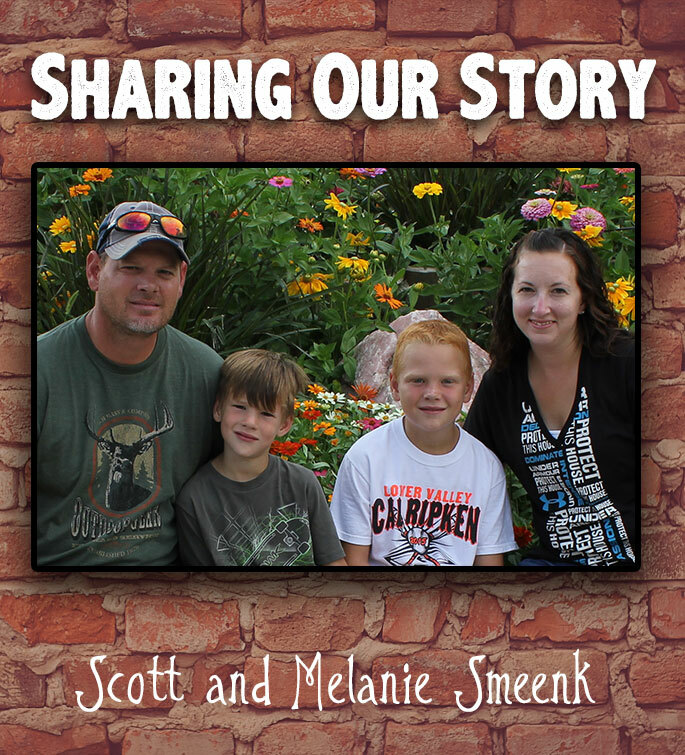 Knowing both Scott and Melanie, it's very nice to hear them be advocates for SCS. I think a very, very high percentage can look back and know they received the best in education. Thanks to you both!